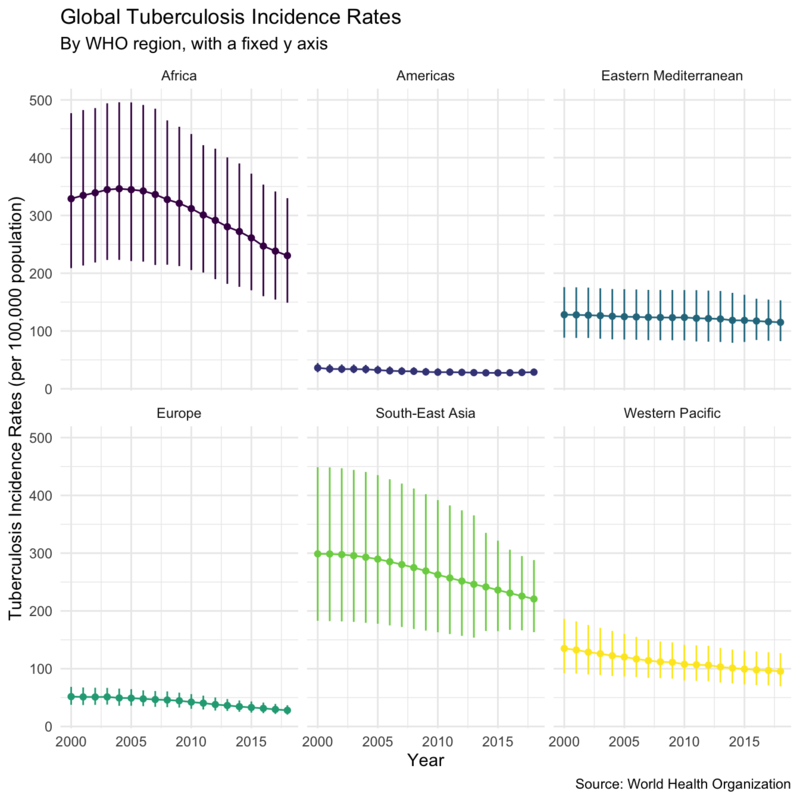 This case study investigates global trends in Tuberculosis incidence rates and explores whether Tuberculosis eradication is on the horizon. It was adapted from this blog post. To get started the first step is to get the package, as well as loading other packages required for the analysis. The package is loaded, time to get the data. We download both the data itself and it’s accompanying data dictionary. 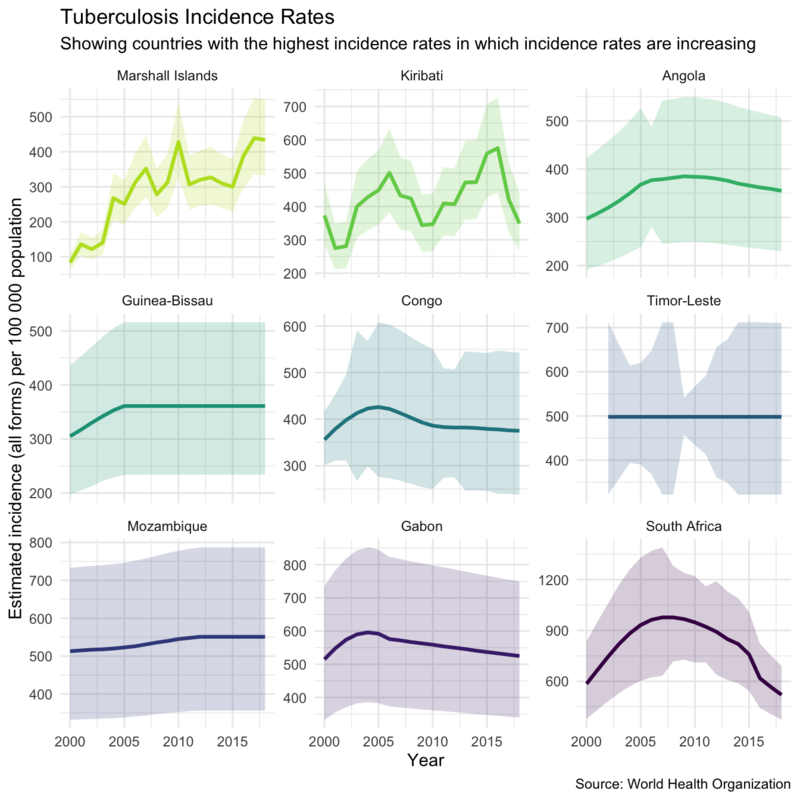 This plot shows that Tuberculosis incidence rates are decreasing in all regions, which is a great sign for the elimination of Tuberculosis. 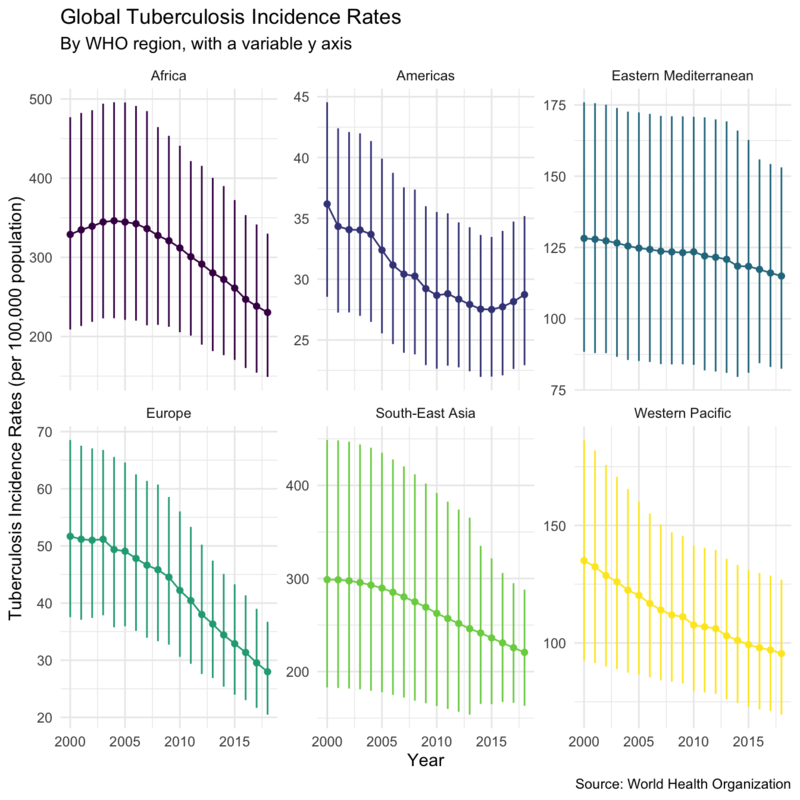 However whilst this is true on the regional level it may not be true for all countries in the data set, something that is required to truly eradicate Tuberculosis. To explore this we find the countries that had higher incidence rates in 2016 than in 2000. 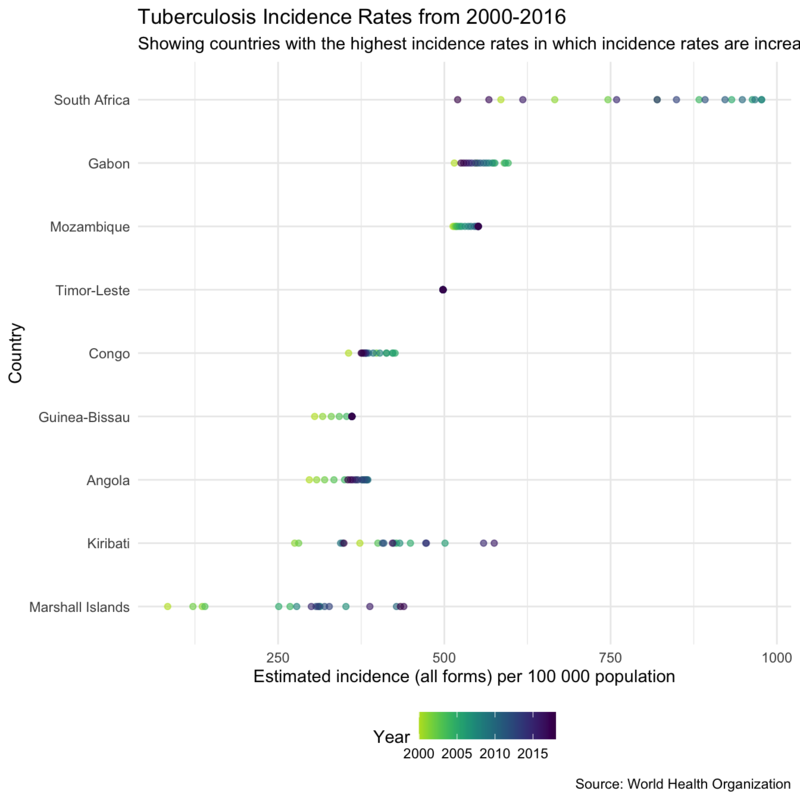 The plot above shows that for some countries such as Mozambique and South Africa the increases in incidence rates may be linked to increases in the cases detection rate. 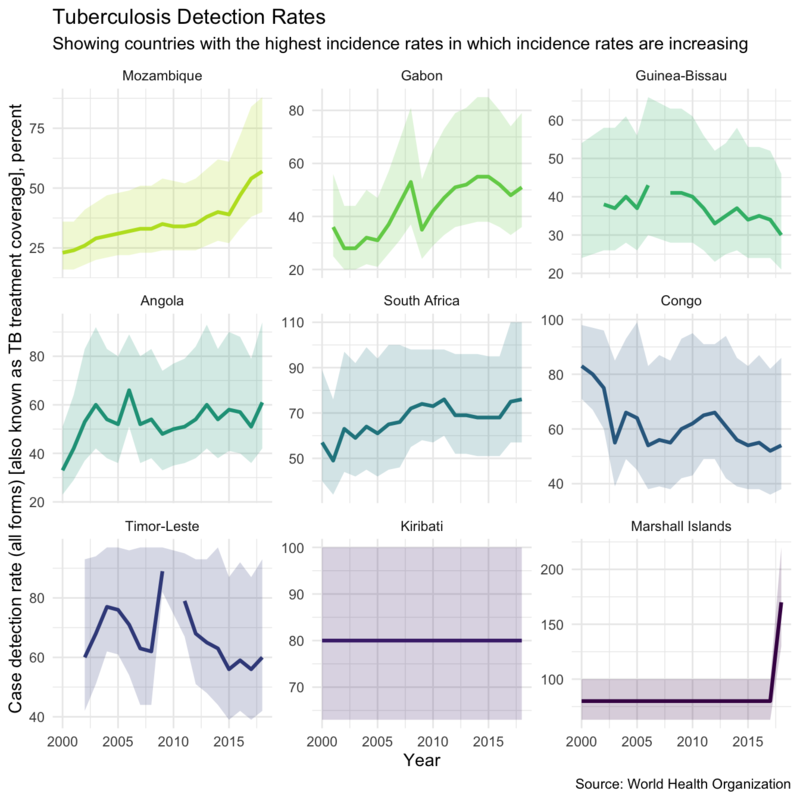 However, it is clear that this is not the case for all countries, in particular the Congo which has seen increasing incidence rates and falling case detection rates. This case study has highlighted the fact that whilst Tuberculosis is declining globally this is not the case in all countries. 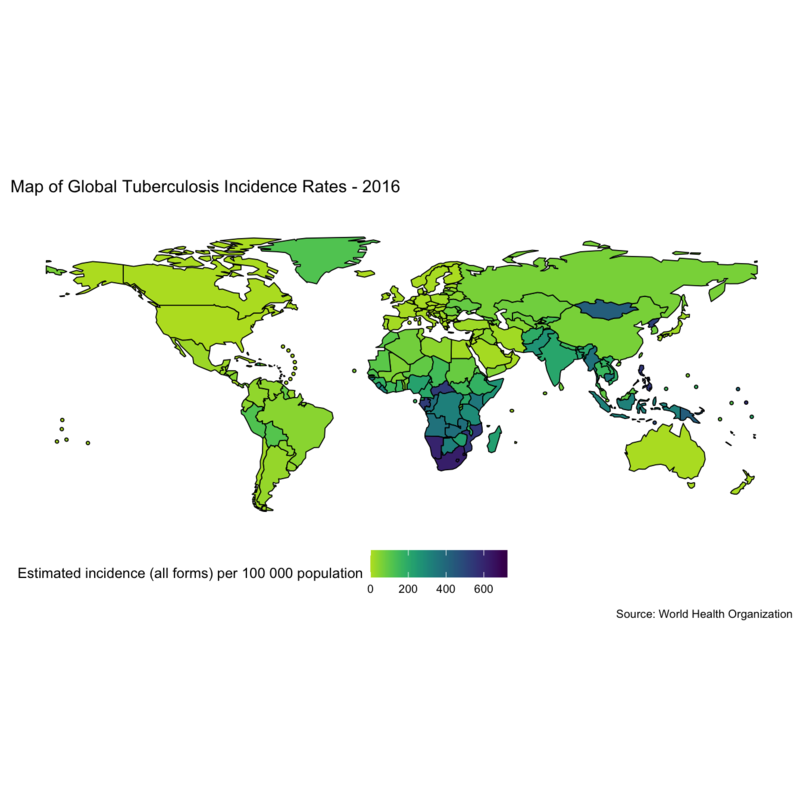 In order for the global eradication of Tuberculosis to be a success it is vital that resources are targeted at those countries which are struggling to reduce their incidence rates.